DEL - frequencies reduced from daily to 4 weekly AB6s. COK - frequencies reduced from 5 to 3 weekly AB6s. It will be interesting to see if Air India Express fills in this gap left by KU by adding new flights with B 738s on both these sectors. 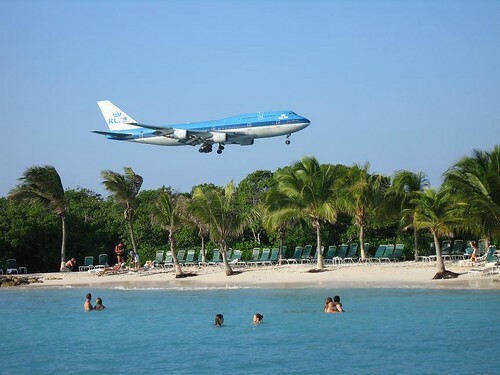 KLM has officially announced that it will be reducing its flights to YYC-Calgary for the upcoming IATA Winter 09-10 season from 5 to 4 weekly flights. All services will continue to be flown using an Airbus A 330-200. KL launched this route in May 2009. The states of Nepal and Qatar have managed to sign a new air bilateral accord which will allow Qatar Airways to increase its flights to Kathmandu, Nepal from the current 11 times per week to 4 daily flights effective 2010. In addition, rights have been secured for Qatar Airways Cargo to fly daily all freighter flights. This will now allow QR to connect KTM conveniently in both directions via DOH to its USA bound flights. Emirates has officially revealed that it is seriously contemplating reinstating daily Airbus A 380 service into New York JFK by summer 2010 as it projects demand and yield to rise from that period onwards. Its CEO also confirmed that it will now "go slow" on any further USA expansion which will not see any newly added flights in 2010 but maybe in 2011-12. BCN - 3 weekly flights each flown from YYZ and YUL respectively using B 763ERs. ATH - 3 weekly flights each flown from YYZ and YUL respectively using B 763ERs. Turkish Airlines has officially confirmed that from the on set of the IATA Winter 09-10 season, it will be increasing its flights to Athens, Greece from the current 18 weekly to triple daily In addition, it has also revealed that it shall be increasing its BGW-Baghdad flights from the current 5 weekly to daily nonstop using a Boeing 737-800. Olympic Airways of Greece has officially confirmed that it will be suspending all of its long haul flights effective Oct 1st 2009 thus resulting in the termination of its Toronto, Montreal, New York JFK and Johannesburg flights that were operated with a dedicated fleet of 4 Airbus A 340-300s. The carrier will instead focus on its domestic and intra-EU network. ATL / FRA - capacity reduced from daily B 764ER to daily A 332. ATL / MAD - frequencies reduced from daily B 764ER to 4 weekly B 764ERs. ATL / MXP - frequencies reduced from daily B 763ER to 4 weekly B 763ERs. ATL / BCN - frequencies reduced from daily B 764ERs to 4 weekly B 763ERs. ATL / FCO - capacity adjusted from daily A 333 to daily B 764ER. 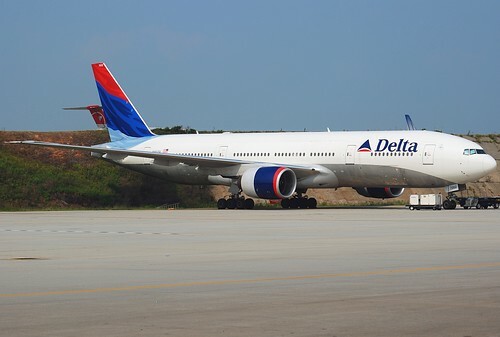 ATL / AMS - capacity reduced from daily A 333 to daily B 763ER. ATL / CPH - frequencies reduced from daily B 764ER to 4 weekly B 763ERs. ATL / DUB - frequencies reduced from daily B 764ER to 6 weekly B 763ERs. ATL / DUS - frequencies reduced from daily B 764ERs to 5 weekly B 763ERs. CMB - frequencies increased from 4 weekly to daily. JED - frequencies increased from daily to 10 weekly flights. AMM - frequencies increased from 4 to 8 weekly flights. AUH - frequencies increased from double to triple daily flights. BAH - frequencies increased from 18 weekly to triple daily. DOH - frequencies increased from 18 weekly to triple daily. DXB - frequencies increased from 5 to 6 daily.